Our success in providing scholarships and vocational training for low income earning women & children is due to the ongoing efforts by our dedicated team of regional & international volunteers, ambassadors and staff. Kailend employs a small team of talented individuals, most of whom are host country nationals working in the field. Our team combine years of expertise with local knowledge and strong networks to help low income earning women generate income and jobs for their families, and communities at large. Samuel founded Kailend in 2013 and currently serves as Executive Director. 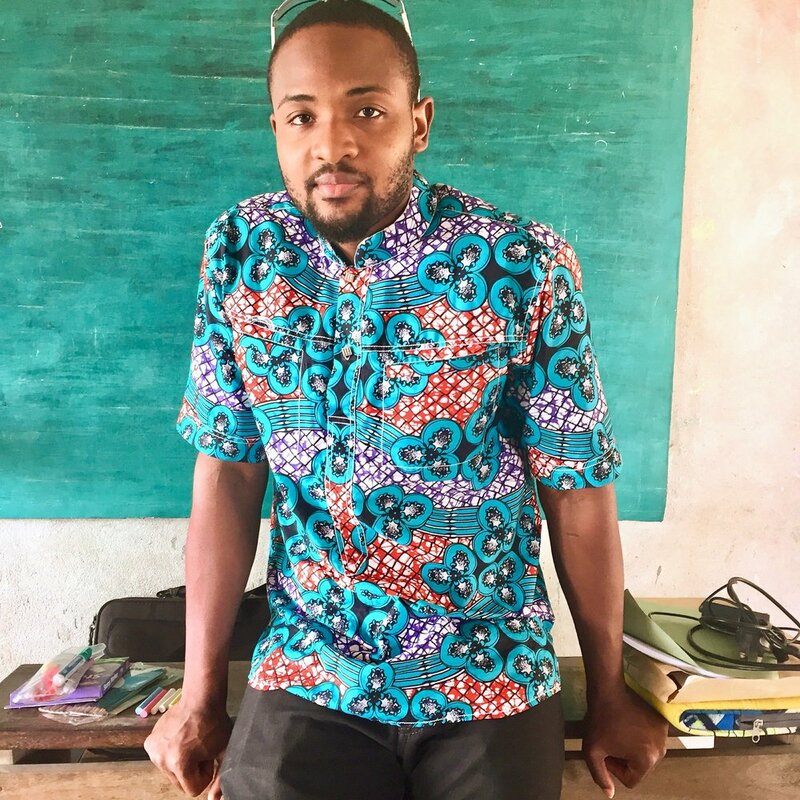 He oversees the operations of Kailend, managing all aspects of the organization and travels within the sub-region to visit Kailend programs and local teams in Togo, Ghana and The Gambia. In his capacity as Executive Director of Kailend, he strives to encourage and grow other young leaders, who can work with his team and contribute to ending extreme poverty, inequality, and climate change and help bring about sustainable social and environmental development in impoverished communities at home and beyond. Madikay has a passion for breaking new ground and achieving lasting social change. He has been involved in Kailend since 2017, voluntarily offering strategic advice to aid in Kailend’s continued growth. He has over 9 years experience in Management, Business Development, and Strategic collaborations. He believes in the core values of Kailend and is driven by our mission to contribute to educating low income earning women and children from impoverished communities through scholarships and vocational training. Navshika is a charity consultant working with Kailend to mobilise corporate partners and lead the communications strategy for our growing online community. Shika is also an experienced policy professional, blogger and speaker, who is passionate about capturing empowering stories of African international development that the diaspora can join in solving. This is part of her wider initiative called 'Becoming Africquainted'. Makafui works mainly with groups of low income earning women, smallholder farmers and children in need of support, with a specialisation in education and child care. She provides support through difficult times and helps to improve outcomes in their lives. Makafui also helps to conduct project evaluations, assess, counsel and offer advice to our beneficiaries and allocate appropriate care and resources. Roli joined Kailend after several years of working for international aid agencies, he has previous experience with international NGOs and sports coaching. In his role as Senior Administrator, he helps to prepare regular reports and organize Kailend records. He also provides support for our Marketing and Finance teams. Albert helps our new volunteers get settled into their new surroundings and to plan their daily program activities and weekend trips around Togo. He also helps to evaluate our programs alongside a social worker.